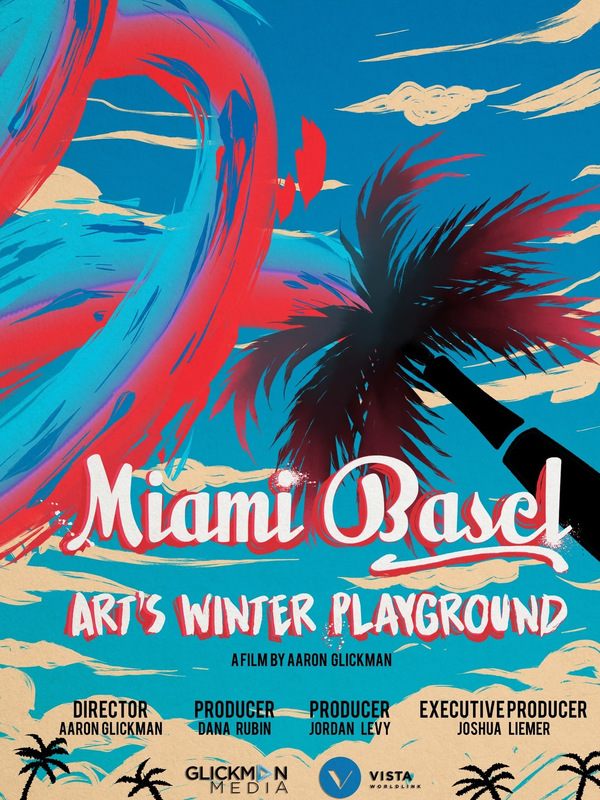 Glickman Media, in association with VISTA Worldlink, has announced the world premiere of Miami Basel: Art’s Winter Playground, a documentary feature film that examines the economic, social, and cultural impact that Art Basel Miami Beach has had on South Florida. The world premiere screening will take place at the Miami Film Festival on Monday, March 4 at 7:00 p.m. at the SilverSpot13 Cinema located at 300 SE 3rd Street in Downtown Miami. In addition to Glickman, the film’s production team includes Joshua Liemer, executive producer/president, VISTA Wordlink; veteran Los Angeles-based cinematographer, Jordan Levy; and Emmy Award-winning documentary producer, Dana Rubin. The story begins by examining where Miami’s art scene was in the late ‘80’s and early ‘90’s and takes us through to Art Basel Miami Beach’s debut in 2002. Told by renowned art collectors, curators, and politicians, we gain an understanding of the cultural wasteland that was Miami and learn about the sheer force-of-will it took to bring the world’s most famous art fair to Miami Beach. 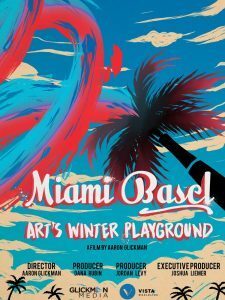 We then cut to a current Miami Basel week, a cultural phenomenon that has grown well beyond a single fair and into an arts happening that brings the entire art world to a single location for an entire week; and, in so doing, has transformed all of South Florida.